The lenses in the lens case, up close. 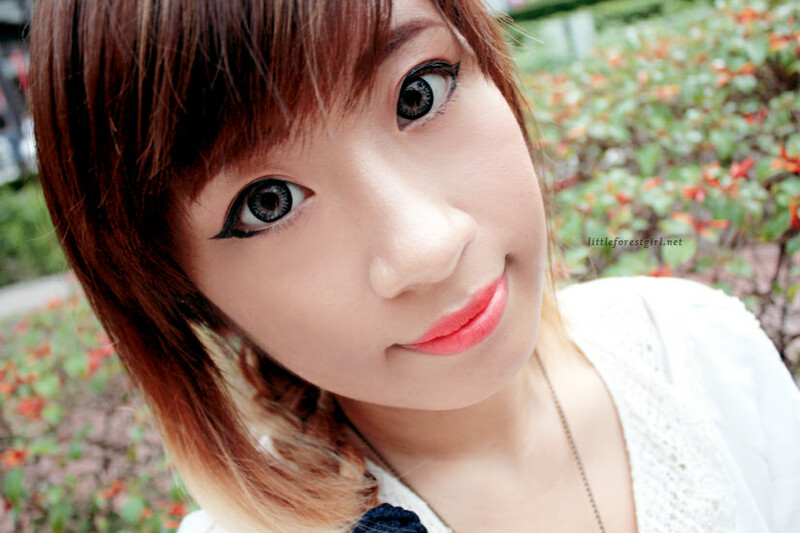 This outer ring design is the trademark of Princess Mimi lenses. Indoors + natural light through the window. I love the color and design on these, but I still feel like I'm wearing blue lenses because of the way it blends into my dark brown eyes. 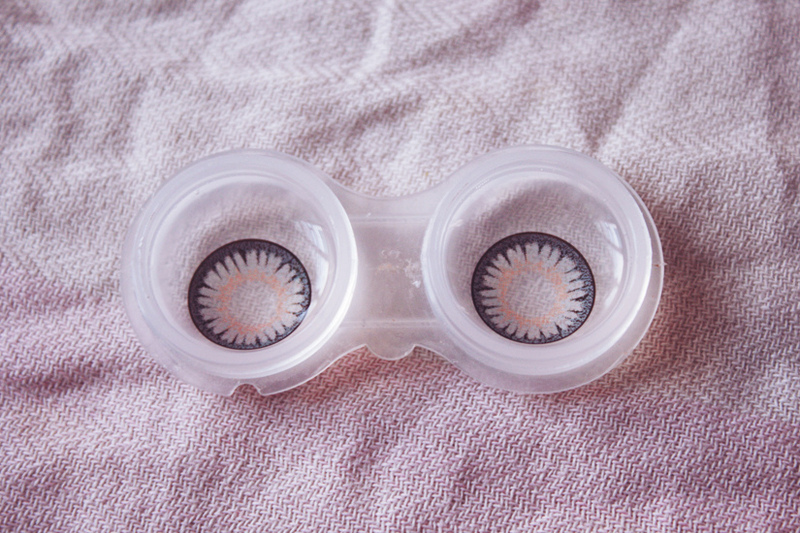 The design is the same in almost all Princess Mimi lenses, I think, with the yellow-y ring around the center. It's very barely visible though, unless you look at the lenses up close. The only thing I don't quite like about these is that the center is quite opaque still, unlike EOS Candy lenses which are translucent at the center so they blend more naturally into the eye. Very enlarging at 15mm! I can pull these off since I still have a lot of white space in my eye when I wear them, but if you have smaller eyes, these might not be for you. It may appear a bit alien-ish on people with small eyes. They also look quite weird on me without any eye makeup on, I noticed. But that isn't a problem since I only wear these when I go out. Super comfortable! GEO Medical makes the most comfortable lenses around. I can wear these almost the whole day with no problems. Giving it a 5/5! 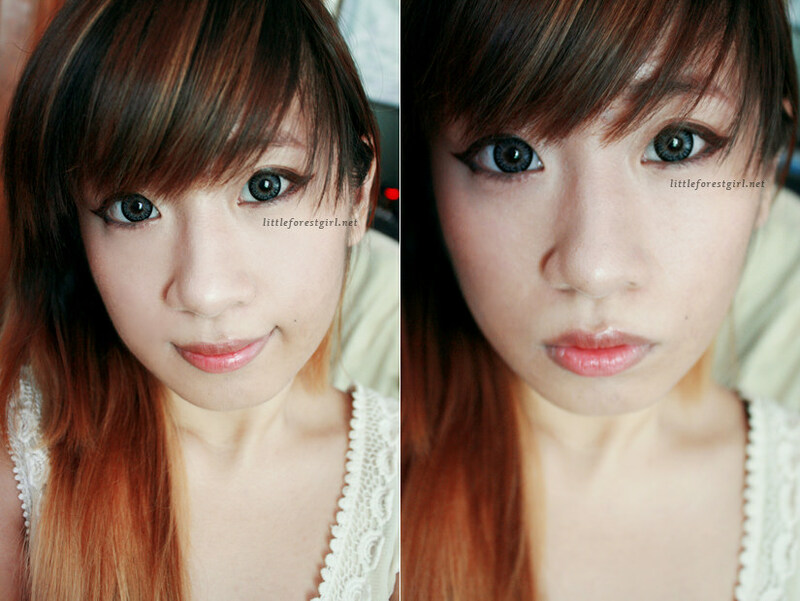 Though I still am not 100% a fan of the whole look of Princess Mimi lenses, these are my favorite lenses to date! I wear these almost all the time whenever I go out. (For normal days, I wear Café Mimi Cappuccino Browns.) For a more natural, mori-inspired look with these lenses, stick to warm neutral colors and use brown eyeliner and mascara instead of black for a softer look (like I did in the 3rd and 4th photo), then orange-pink blush and a coral lip for a cute summer look. DISCLAIMER: This product was sent to me by Dull to Doll for review, but the opinions expressed here are 100% my own. Financial compensation was not received for this post. Please see my full disclaimer for more information.